I've got a deadline looming and it was time to tackle the Bias Trimmed Aprons. 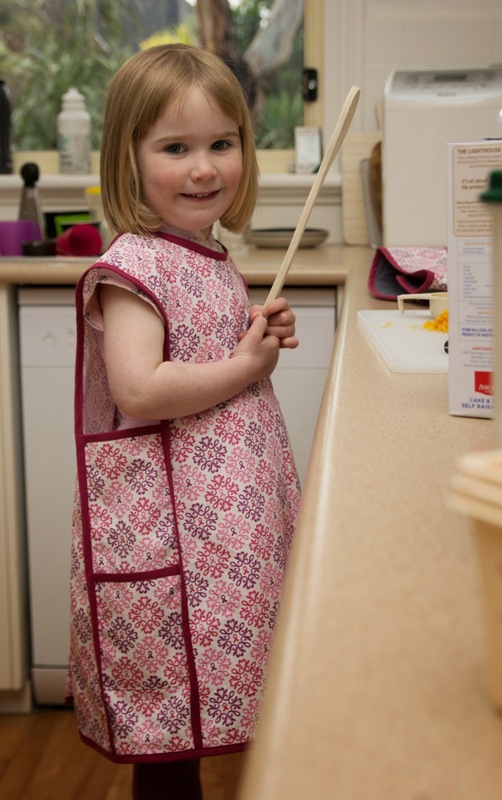 A's apron is the size Medium (3-6 years). The fabric is one she chose herself when we were in a country town quilting shop. The selvedge says it's a Rosemarie Lavin design for Windham fabrics called "ribbons of hope"
Snaps are just perfect for projects like these. After hours of sewing bias binding to finish everything off with a quick snap press is wonderful. P's apron is the size Large (6-10 years) in a Kokka Trefle fabric which he'd declared "too baby-ish" when I'd bought it to make him a shirt. The good news is, there's probably enough left for a baby's shirt, so someone else's kid can get a cute little animal shirt. I had no idea how to attach bias binding, and never thought for a moment that I could find that information on the internet, or even to try a book. I just had a go. I tried to pin it such that both sides would be aligned and stitch it all on in one go. It is amazingly bad. Now I know to sew one side on first, press really well, and then to get the other side perfectly lined up I use Quilter's Edge 1/4" fusible web. I iron my bias binding in place so that I don't have to use pins. Sewing the second side down is fast and accurate! There are some pictures of this in my how-to-avoid-handstitching-the-bucket-hat post. It may be a bit of a cheat, and it does cost a little, but to not have to go back over any spots where you miss the underside of the binding is priceless. So, my aprons are done, and while making these I made some matching oven mitts. I'm declaring them to be the unofficial 22nd project if anyone wants to go a bit further than all the way! Come back tomorrow to see the oven mitts and a tutorial and download the free PDF pattern for making your own! 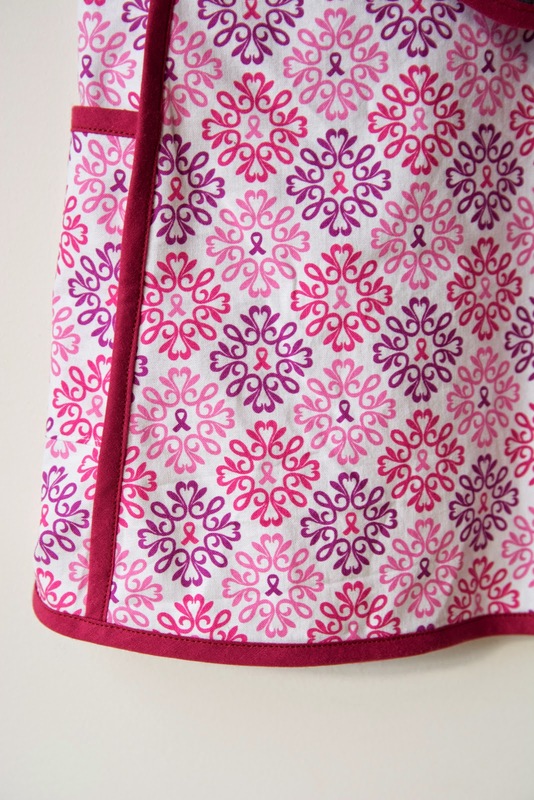 The aprons look great! Thank you for the wonderful tip for sewing bias. I'm ordering some of that stuff right away. 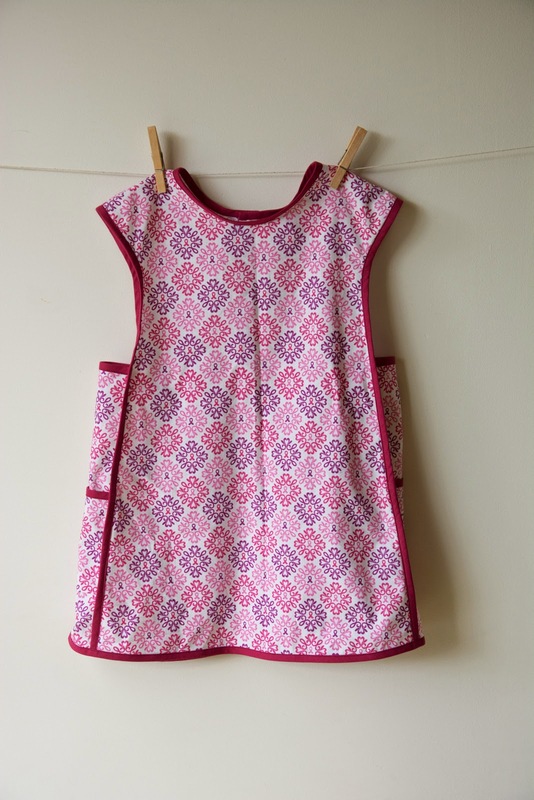 It is really hard to believe that I have not made the aprons or the art smocks since I bake and do crafts with my kids so often. Thanks Christine. 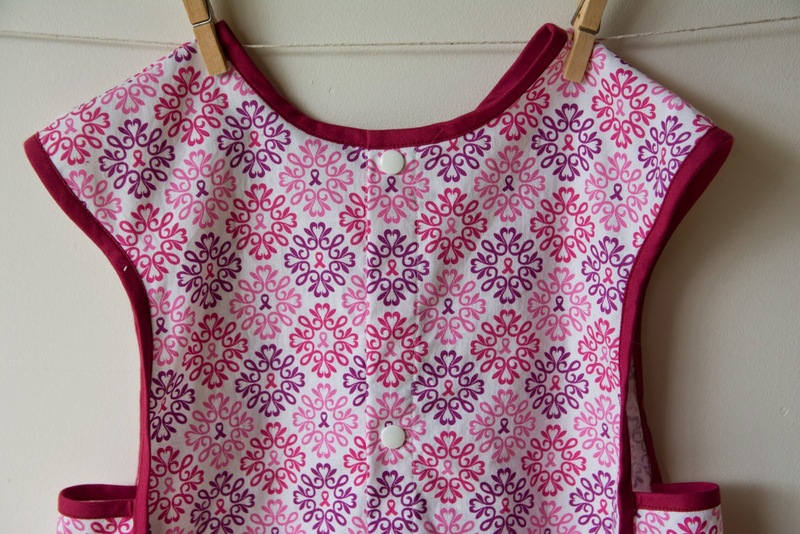 You'll love the Art Smock, the sewing is relatively quick and easy and the French seamed finish is such a nice touch. 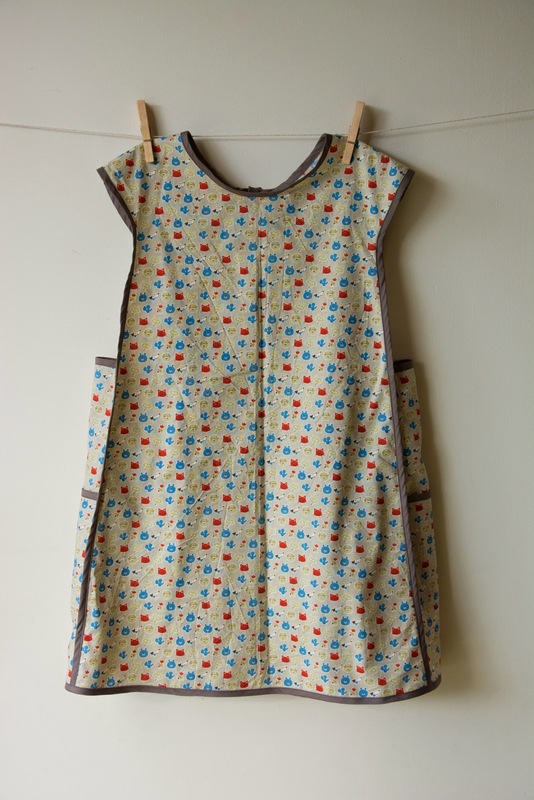 The Aprons are a bit more work but worth it for the bias binding practice and the cute tuck shop lady look of them! And both should be really useful for you. 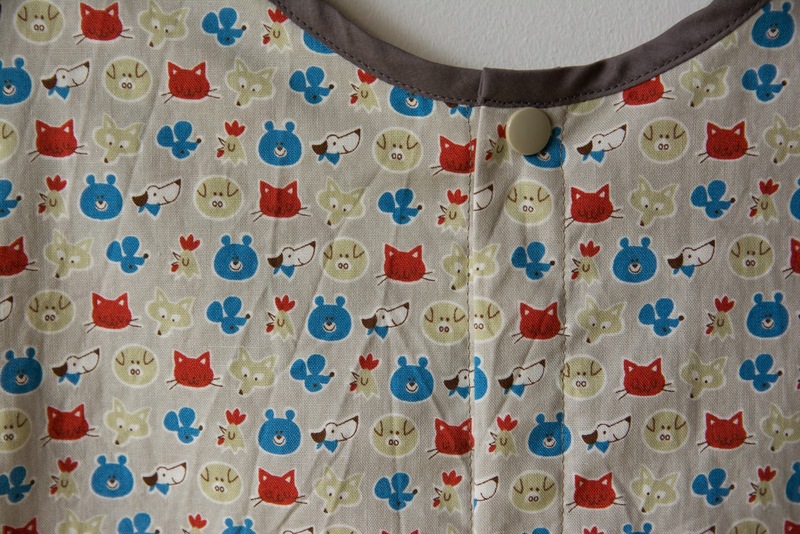 The aprons look great, and I love that wombat playmat, wonky binding and all. Thanks for the tip about the fusible web, I'd never heard of it but am now determined to track some down... bias binding is my nemesis. Thank you Suzy. 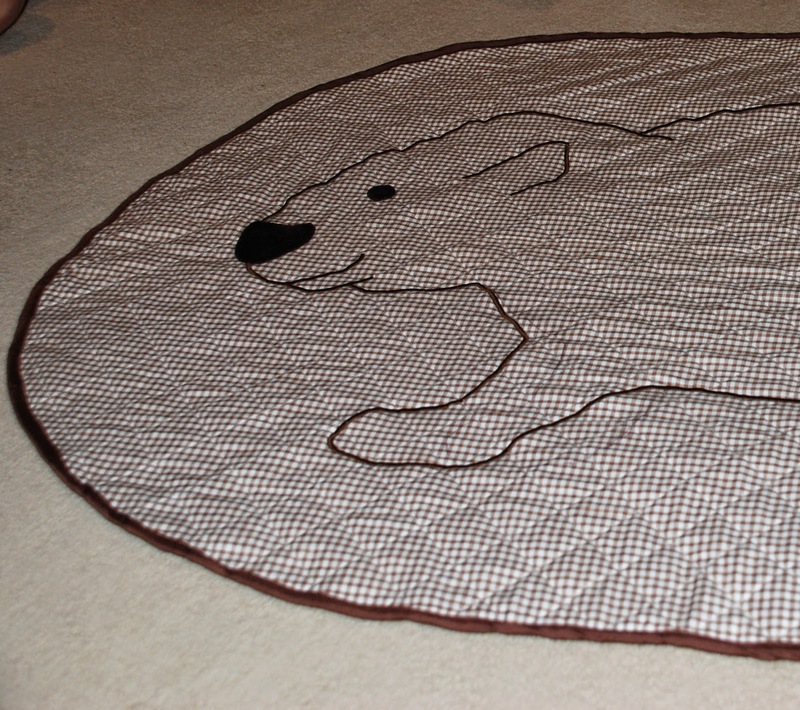 I'm still pretty fond of the Wombat mat. It has felt backing with little circles of non slip stuff sewn on. I still think the concept was great even if the execution was dodgy! The quilter's edge is available in Spotlight if you look in the area where quilter's tools, rulers etc are found. It is such a nice cheat's way of getting bias to work well. That fabric is so cute. So excited that your blog has stopped snubbing me! Me too! Love hearing from you. Being the first, P was a much photographed baby, but he did suffer from some really weird, incredibly red cheeks issue. We used to put nappy rash cream on his cheeks! This is definitely high on my list of projects from this book to tackle next- thanks for the inspiration!